Digital mobile radio (DMR) is an open digital radio standard for professional mobile radio (PMR) users specified in the European Telecommunications Standards Institute (ETSI) Standard TS 102 361 parts 1-4 and used in products sold in all regions of the world. The applicable ETSI emissions compliance standards are EN 300 113 and EN 300 390. The standard was first published in 2005 and has been widely adopted by radio manufacturers and users. Products built to the DMR standard also comply with the U.S. Federal Communications Commission (FCC) mandates in the United States for the use and certification of 12.5 kHz and 6.25 kHz narrowband technology for systems covered by Part 90 regulations. 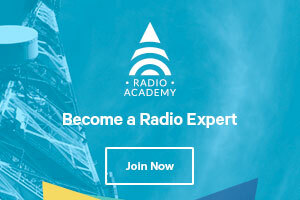 Through a combination of interoperability testing, certification, education, and awareness the Association is working to ensure that business buyers of today's digital radio technology gain ongoing value through the competition and choice derived from an open, multi-vendor value chain. DMR is a standard developed by ETSI – one of the world's leading standards development organizations for Information and Communication Technologies (ICT). Founded initially to serve European needs, ETSI has grown rapidly to become highly-respected as a producer of technical standards for worldwide use. "With the Tier III DMR products recently announced by several manufacturers, radio users with more complex requirements have new options for upgrading to digital. Land Mobile convened a panel of experts to examine the issues." "As the utility industry moves toward the smart grid, mobile radio communications and digital technologies will become even more important because of reliability, spectrum and backup needs." Utility professionals discussed the business case for DMR for electric utilities during a roundtable on May 3 in Tucson, Arizona. Mission-critical communication issues, including coverage, data, spectrum, and security were addressed during the discussion.